So get comfy, put your feet up, grab a cup of something warm, and prepare for an avalanche of hygge! Admittedly not one of my personal favourite parts of a Danish Christmas – most of those elves give me the heebie geebies! But nisser – elves – feature heavily in Danish Christmas songs, stories and, of course, decorations – you’ll often see cardboard kravlenisser (“crawling elves”) hanging on bookshelves and windowsills. You’ll also find nisser in Danish schools. Both my kids (DearSon,15 and DearDaughter,13) are playing nissevenner (“elf friends”, the equivalent of ‘Secret Santa’) where they hide several small gifts for a classmate. The names are drawn at random, and the general rule is around 3 or 4 gifts costing a maximum total of DKR 75 (USD12 or UK£8). But not all nisser are nice! There are also drillenisser (“teasing elves”, naughty elves) about! Often it’s Mum and Dad to pre-school kids who pretend to be Drillenissen. And just what do those drillenisser get up to? Well, you might wake up in the morning and find that they’ve put grød (porridge), nuts or newspaper in your shoes. Or turned your coat, hat and gloves inside out. Or put Nutella on top of your toothbrush. Wrapped the door handles in toilet paper. Can’t find your socks? Hmm, take a look in the fridge! Phew…it’s hard work playing a new trick every single day in December! Anyway, love them or hate them, you just can’t get away from them. They’re everywhere – even hanging around at the school dentist (along with their giant toothbrushes). 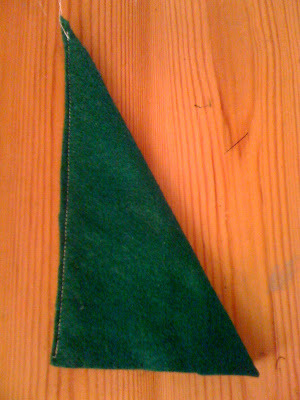 Cut out a ‘hat’ for your elf from the felt. Don’t worry too much, a rough triangle will do. Fold it over and sew it down one edge. Then turn it inside out, so the stitches don’t show, using a pencil to help you get right into the little pointy top. 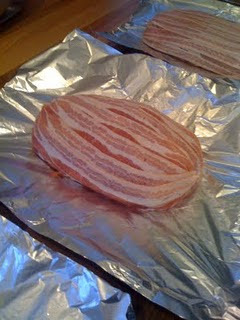 Put a bit of the stuffing inside the hat (this will also help it to stand upright). Stick on a large wooden bead for his ‘nose’, just under the brim of the hat. The hot glue gun is great for this, no hanging around. 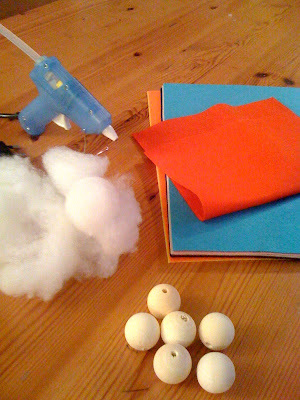 Then take more of the stuffing and pull it to bits, so you end up with a pile of smaller pieces. Use this to make his beard and stick that on underneath the hat/nose. 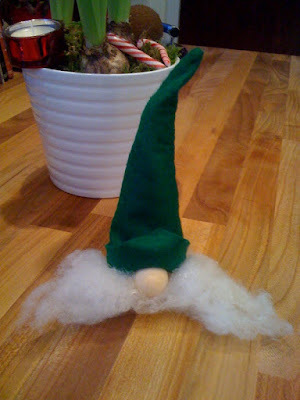 And while you get on with making your very own nisse, have a listen to a famous song about them. Yep, you can’t beat a bit of John Mogensen – he’s a cult classic! because Christmas porridge is his favorite food. and they look out of the corner of their eyes. and they dance, dance around in a ring. and they stand around the elf, closely packed in a ring. and one, two, three, then they are gone! Keep an eye on those crazy Danish nisser (and rats)! Greetings! From across the Pond! Your blog is exactly what I was looking to find. I am a writer and I was doing some digging on the Internet and low and behold, the perfect answer to my seek! What a fulfilling hour I have had. I feel I have been on a treasure hunt and didn't even know it until I had the prize. Part of the interesting thing is, is that my sons' dad is Scottish, too. 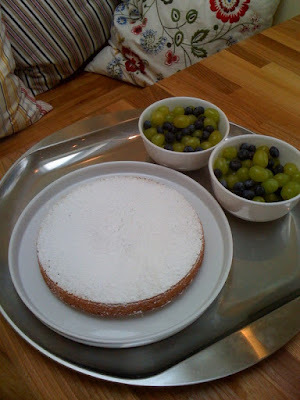 The story I am writing now, is for my Danish cousins. I needed some details that would make the story more rich and vivid. The things in your blog have helped to refresh my memory and added to the details so that I can now go and finish this gift to my family.It's interesting how just a few things spark memories and a flood of history comes rolling in like a tide. Thank you so very much for all you have shared, for the warmth of your gift to all of us. Merry Christmas! from my home to yours.